Halloween spending is expected to hit $8.4 billion this year, the highest in the history of the National Retail Federation’s annual survey. A fair share of that total will be spent on candy, and convenience-store retailers could benefit from a surge in sales that comes the week before the holiday, said Larry Levin, executive vice president, consumer and shopper marketing for IRI. This year, Halloween falls on a Monday, and parties will likely occur during the weekend, with trick-or-treating on Monday the 31st. The Retail Federation's survey, conducted by Prosper Insights & Analytics, found that U.S. consumers will spend an average of $82.93 this Halloween season, up from $74.34 in 2015 and up from $77.52 in 2014. Most of that money will go toward costumes and candy. Candy sales are projected at $2.5 billion, with 94.3% of survey respondents saying they will be buying candy. According to the NRF survey, consumers plan to spend $3.1 billion on costumes (purchased by 67% of Halloween shoppers), $2.5 billion on candy (94.3%), $2.4 billion on decorations (70%) and $390 million on greeting cards (35.4%). Convenience stores should pay attention to the week before Halloween for candy sales, Research shows that sales surge a few days just before a holiday. 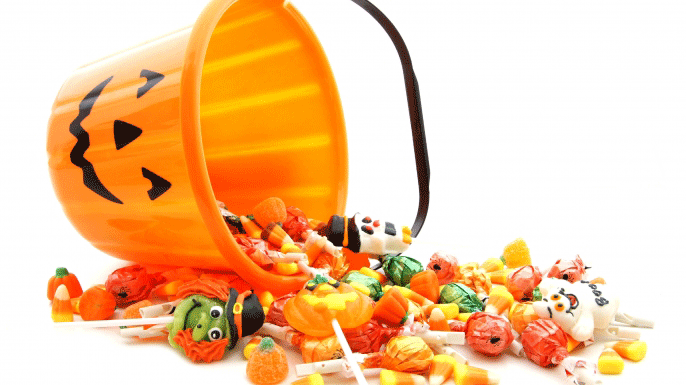 In the case of Halloween, that's often because candy purchased earlier may have been consumed, and households need to replenish for the actual holiday. Convenience stores can be the beneficiaries of these last-minute purchases because they offer quick service, usually 24 hours a day. According to a study by BevMo!, 84% of adults said they plan on buying alcohol to celebrate Halloween. 50% said they will opt for a liquor-based beverage, 24% will reach for a beer, and 23% want a glass of wine. 86% of people attending holiday parties say they will bring alcohol, only 11% said they will bring candy, 3% will bring nothing. This is another chance to increase c-store sales. Running alcohol promotions will help boost sales as most adults attending parties plan to celebrate on the Saturday before Halloween as the holiday falls on a Monday this year. 37% of adults plan on attending or hosting an adult party. One in five respondents will stay home and hand out candy, and 13% will take their kids trick-or-treating. Only 2% plan to visit a haunted house. Looking to implement a loyalty rewards program? Learn more about what loyalty marketing can do for your business. Speak with a Tecmark Loyalty Expert today.